Pain Management of Mission Hills, Thousand Oaks, & Northridge in Mission Hills, California, provides relief for back pain, neck pain, and other pain centers. We can help you achieve pain relief for the abdomen and arms, and will address numbness or tingling in your extremities. When clients come to our office, we evaluate them before determining the best course of action. Often, we will conduct an MRI or similar imaging and then diagnose the cause of the pain. Proper medication, physical therapy, or injections may also be recommended. Injections can be done in the office or surgery center. 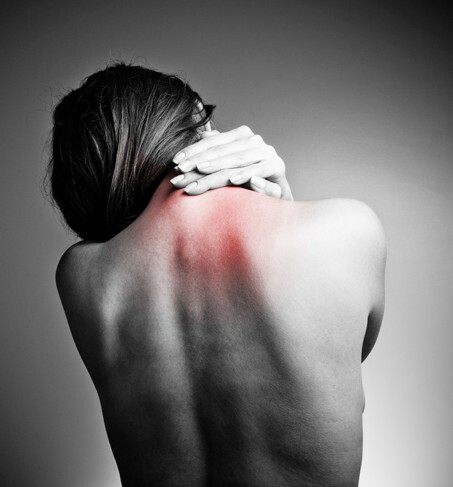 There are several potential sources and causes of back pain and neck pain. However, the diagnosis of specific tissues of the spine as the cause of pain presents problems. This is because symptoms arising from different spinal tissues can feel very similar and is difficult to differentiate without the use of invasive diagnostic intervention procedures, such as local anesthetic blocks. One potential source of back and neck pain is skeletal muscle. Potential causes of pain in muscle tissue include muscle strains (pulled muscles), muscle spasm, and muscle imbalances. However, imaging studies do not support the notion of muscle tissue damage in many back pain cases, and the neurophysiology of muscle spasm and muscle imbalances is not well understood. Another potential source of back and neck pain is the synovial joints of the spine (e.g. zygapophysial joints/facet joints). These have been identified as the primary source of the pain in approximately one third of people with chronic low back pain , and in most people with neck pain following whiplash. However, the cause of zygapophysial joint pain is not fully understood. Capsule tissue damage has been proposed in people with neck pain following whiplash. In people with spinal pain stemming from zygapophysial joints, one theory is that intra-articular tissue such as invaginations of their synovial membranes and fibro-adipose meniscoids (that usually act as a cushion to help the bones move over each other smoothly) may become displaced, pinched or trapped, and consequently give rise to nociception (pain). There are several common other potential sources and causes of back and neck pain: these include spinal disc herniation and degenerative disc disease or isthmic spondylolisthesis, osteoarthritis (degenerative joint disease) and spinal stenosis, trauma, cancer, infection, fractures, and inflammatory disease. Radicular pain (sciatica) is distinguished from 'non-specific' back pain, and may be diagnosed without invasive diagnostic tests. New attention has been focused on non-discogenic back pain, where patients have normal or near-normal MRI and CT scans. One of the newer investigations looks into the role of the dorsal ramus in patients that have no radiographic abnormalities. The management goals when treating painful conditions are to achieve maximal reduction in pain intensity as rapidly as possible; to restore the individual's ability to function in everyday activities; to help the patient cope with residual pain; to assess for side-effects of therapy; and to facilitate the patient's passage through the socioeconomic impediments to recovery. For many, the goal is to keep the pain to a manageable level to progress with rehabilitation, which then can lead to long term pain relief. Also, for some people the goal is to use non-surgical therapies to manage the pain and avoid major surgery, while for others surgery may be the quickest way to feel better. Not all treatments work for all conditions or for all individuals with the same condition, and many find that they need to try several treatment options to determine what works best for them. The present stage of the condition (acute or chronic) is also a determining factor in the choice of treatment. Only a minority of back pain patients (most estimates are 1% - 10%) require surgery. spondylolisthesis, and related spinal disorders, has been shown to reduce severity and frequency of back pain in adults with scoliosis. Massage therapy, especially from an experienced therapist, can provide some relief. Acupressure or pressure point massage may be more beneficial than classic (Swedish) massage. Depending on the particular cause of the condition, posture training courses and physical exercises might help with relieving the pain. Exercises can be an effective approach to reducing pain, but should be done under supervision of a licensed health professional. Generally, some form of consistent stretching and exercise is believed to be an essential component of most back treatment programs. However, one study found that exercise is also effective for chronic back pain, but not for acute pain. Another study found that back-mobilizing exercises in acute settings are less effective than continuation of ordinary activities as tolerated. Education, and attitude adjustment to focus on psychological or emotional causesrespondent-cognitive therapy, biofeedback and progressive relaxation therapy can reduce chronic pain. Surgery may sometimes be appropriate for patients withlumbar disc herniation or degenerative disc disease, spinal stenosis from lumbar disc herniation, degenerative joint disease, spondylolisthesis, scoliosis and compression fracture. Minimally invasive surgical procedures are often a solution for many symptoms and causes of back pain. These types of procedures offer many benefits over traditional spine surgery, such as more accurate diagnoses and shorter recovery times. Surgery is usually the last resort in the treatment of back pain. It is normally recommended only if all other treatment options have been tried or if the situation is an emergency. A 2009 systematic review of back surgery studies found that, for certain diagnoses, surgery is moderately better than other common treatments, but the benefits of surgery often decline in the long term. The main procedures used in back pain surgery are discetomies, spinal fusions, laminectomies, removal of tumors, and vertebroplasties. Microdiscetomies may be performed as a variation of standard discetomies in which a magnifier is used to provide the advantage of a smaller incision, thus a shorter recovery process. Spinal fusions are performed in cases in which the patient has had the entire disc removed or when another condition has caused the vertebrae to become unstable. The procedure consists in uniting two or more vertebrae by using bone grafts and metalwork to provide more strength for the healing bone. Recovery after spinal fusion may take up to one year, depending greatly on the age of the patient, the reason why surgery has been performed and how many bony segments needed to be fused. In cases of spinal stenosis or disc herniation, laminectomies can be performed to relieve the pressure on the nerves. During such a procedure, the surgeon enlarges the spinal canal by removing or trimming away excessive lamina which will provide more space for the nerves. The severity of the condition as well as the general health status of the patient are key factors in establishing the recovery time, which may be range from 8 weeks to 6 months. Back surgery can be performed to prevent the growth of benign and malignant tumors. In the first case, surgery has the goal of relieving the pressure from the nerves which is caused by a benign growth, whereas in the latter the procedure is aimed to prevent the spread of cancer to other areas of the body. Recovery depends on the type of tumor that is being removed, the health status of the patient and the size of the tumor. Contact us today in Mission Hills, Thousand Oaks, or Northridge, California, to schedule an appointment, and receive relief for your back and neck pains.